I’m participating in a challenge called the 31 Days Blog Challenge. 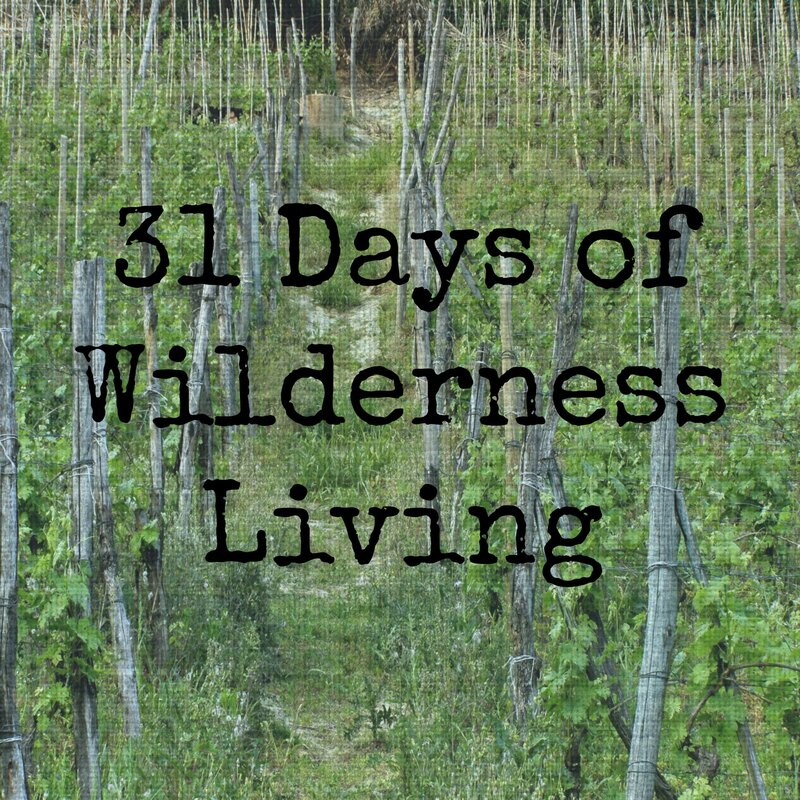 And my topic is 31 days of living in the wilderness. This topic has followed me around for a few weeks. Seven to be exact. My youngest daughter is seven weeks old. Her brother is 18 months and her sister is 6. We’re living in the weeds of laundry baskets, homeschool, cracker crumbs, babies screaming at.the.same.time and participating in a Bible study on the life of Moses. I’m living on faith in my husband to go out and make it in a business going through a bit of a drought. I’m living on faith that my daughter is getting a great education at home with me as her primary teacher. I’m living through nursing sessions where Mogli (my affectionate name for my toddler son) is biting my shoulder while I feed his sister. I’m living on a shoestring budget of sleep and with a house that’s way below my cleanliness standard. But we’re laughing. We’re full. We’re healthy. We’re making it. I’m not sure where this journey is going, but isn’t that the point of wandering through the wilderness? Aren’t God’s times of wilderness living the times that teach us something? Join me on this chronicle of faith and family through the month of October. We’ll discover where the wild things are that bring us closer to Him. Welcome to Day 1. I’ll link the other posts below each day.